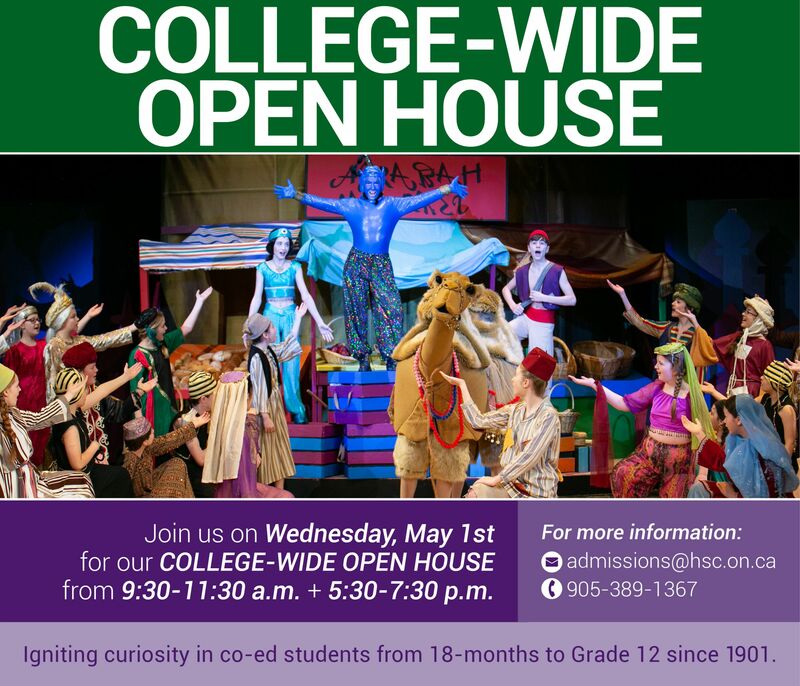 When construction began on the Michael G. DeGroote Senior School in 2011, the College bid farewell to the old tennis courts on the west side of campus. It was a necessary sacrifice and, while the plan was always to rebuild the courts, the school’s tennis program felt a keen loss. 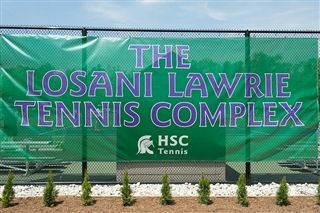 After four years of playing off-site, HSC is proud to bring Trojans Tennis home with the opening of our new tennis complex. The generosity of the Lawrie and Losani families made this incredible facility possible. Both families wanted to see the courts rebuilt as soon as possible. Their philanthropic partnership provided the backing needed to get the project off the ground. The new tennis complex includes a feature court and an additional practice and training facility. All courts are equipped with a soft asphalt surface to reduce physical joint stress during play. In addition to boosting the school’s tennis program, HSC will make good use of the courts by hosting tournaments and welcoming external groups to use the courts. Current HSC parents Fred and Shelly Losani say their gift was inspired by a long-standing tradition of tennis at HSC, and by their family’s love of the sport. For Bob Lawrie, it was his daughter Brooke ’14 and her passion for the sport that inspired him to get involved. An avid tennis player, Brooke dreamed of a meaningful tennis program at HSC. After joining an HSC recreational team, she was motivated to build more awareness of tennis at the College. She engaged new players to help bolster both the boys’ and girls’ teams, and helped recruit a coach with the potential to make Trojans varsity tennis a reality in the future. Although unable to make use of the courts herself, Bob Lawrie knows his daughter is delighted for her alma mater. The enthusiasm for the courts was evident by the incredible response of the HSC community to the first HSC Community Tennis Tournament. Saturday, May 28 for the marked the official opening of the new courts, and the College officially revealed the names of four courts in honour of the Losani and Lawrie families–Court Brooke, Court Brett, Court Lauren and Court Noah Alexander. In their opening remarks, Head of College Marc Ayotte, Bob Lawrie and Fred Losani all spoke to the opportunities made possible through the new facilities, and about the bright future ahead for the HSC Tennis program.